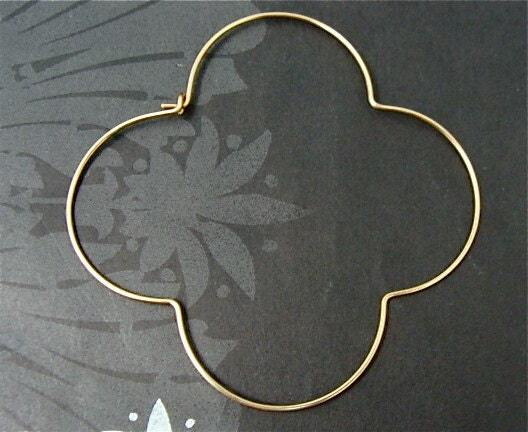 This simple and feminine quatrefoil or (four leaves) shape has been used through out history from adornment of gothic cathedrals to pretty stationary. 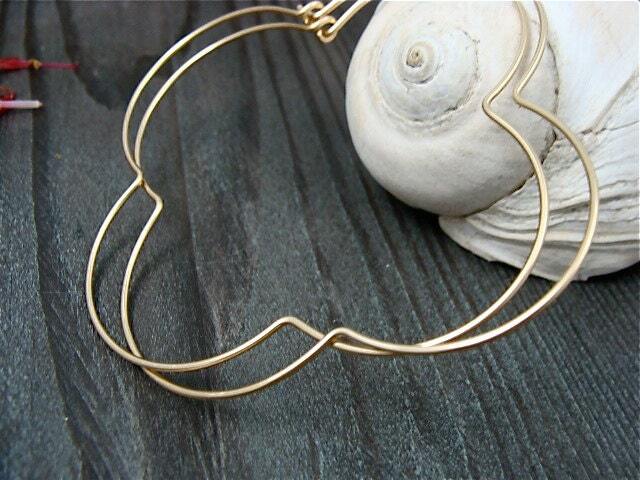 These earring are hand formed from sturdy18 gauge, 14k gold filled wire. 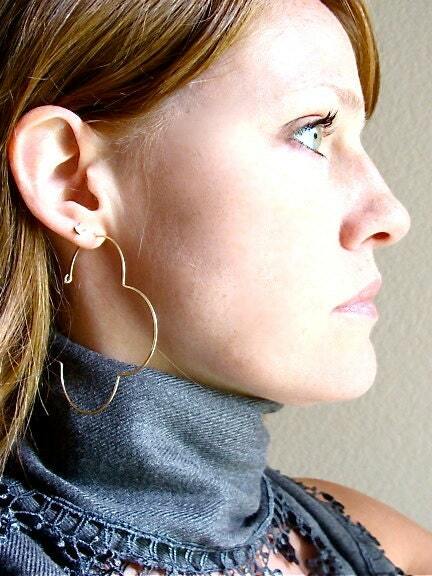 Earrings are 2 1/2" diameter. 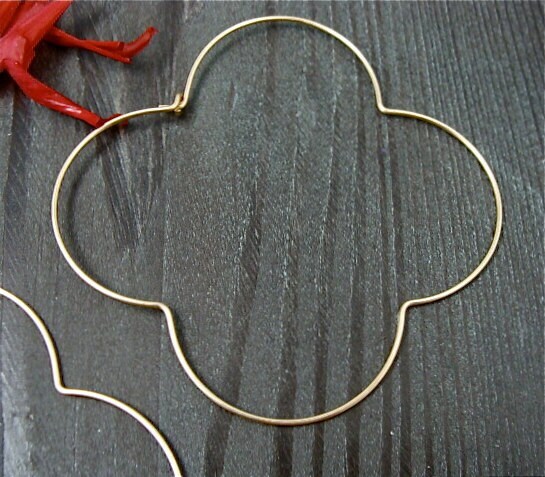 Beautiful and elegant hoops. I love how they look. 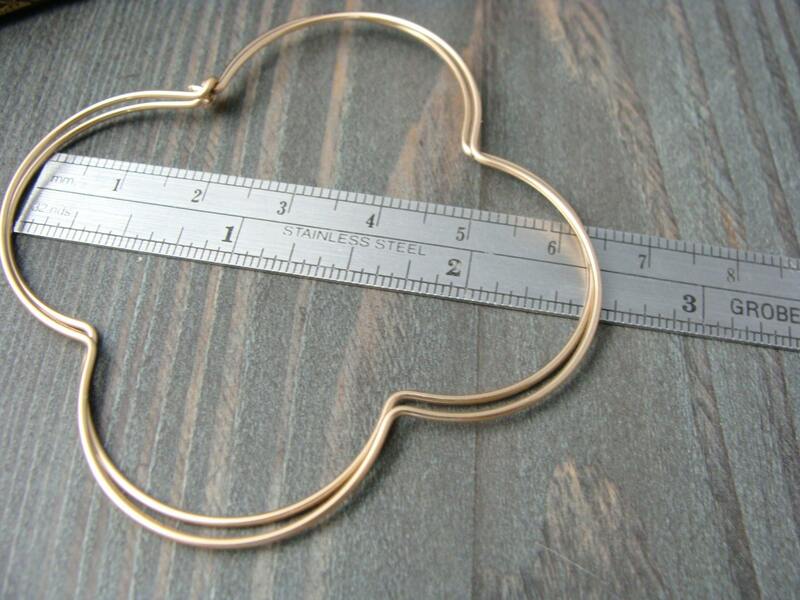 This is not the first piece I've purchased from this seller. Each time I've gotten something, I've been awed at how perfect it turned out. Exquisite. Thank you.